Living with certain health conditions, such as high blood pressure, can make navigating certain situations a little more difficult than usual. Family outings and get-togethers, for example barbecues, can become rather nerve racking. 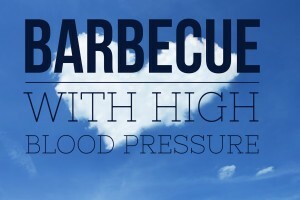 How do you navigate a barbecue when you are following a restrictive diet for high blood pressure? Luckily, you can still eat well at a barbecue with high blood pressure. As long as you know what to look for, you can stress a little less and enjoy the festivities- and the food. There are a few simple rules for you to keep in mind when navigating a barbecue with high blood pressure. If there is one thing in abundance at a barbecue, it is plenty of grilled meats. Typically, there are a few different options available for the choosing. This affords you the opportunity to make the best choices possible. Look for the leanest options, such as grilled chicken or fish. Not only are these healthier, leaner options, but you are less likely to have to deal with added ingredients. For example, hamburgers might have extra salt and ingredients mixed into the meat. Hotdogs, of course, contain all sorts of preservatives and nitrates that are not heart healthy. Most of the sodium and other unhealthy additives that you have to worry about are going to be in the sauces, so consider this when you are picking your toppings. Barbecue sauce, ketchup, and other sauces are likely to contain a lot of sodium and sugar, so make sure that you are using these sauces in moderation or omitting them completely. Focus on making good decisions. For example, if the grilled chicken is cooked with barbecue sauce on it already, try not to add any extra sauce. Stick to the freshest sides available. Look for crisp salads with low sodium or low fat dressings, grilled vegetables, corn on the cob, and other produce based side dishes. Grilled fruits are absolutely delicious, and can add a lot of flavor to your plate without adding extra “bad stuff”. Instead of potato or macaroni salad, go for a whole baked potato with some low fat sour cream. One thing you can do to counteract some of the extra special foods you might be eating is to have fun and engage in some activity while you are out. Join in on a ball game, dance, and walk around as much as possible. The focus isn’t to be perfect, it is to be healthy. Activity, as much as you are able, is a great way to work in being healthy when you are having fun. Barbecues and other get-togethers do not have to be a source of stress. You can enjoy the food and festivities just as much as you always did, with the added knowledge that you are living a healthier life. High blood pressure doesn’t mean that life is over or boring from here on out, it simply means that things are a little different and you have a chance to change your choices for the better. This applies to life as well as celebrations. So, with these simple new rules in mind, go enjoy your barbecue. For more help with your high blood pressure, click here.